Real Grade 00 Raiser Trans-am Announced! Wow, just wow. Words kinda fail me at the moment. 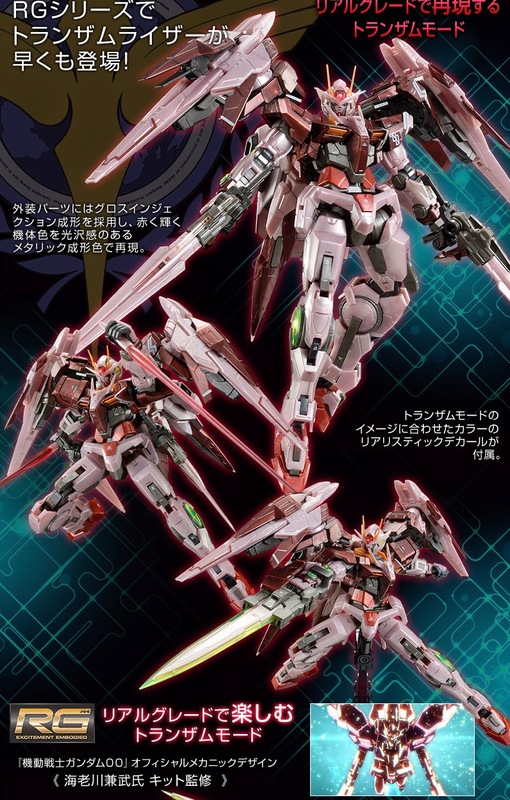 I did not expect P-Bandai to announce the Trans-am version of this amazing kit so soon (the normal kit is on its way to me as I type this). 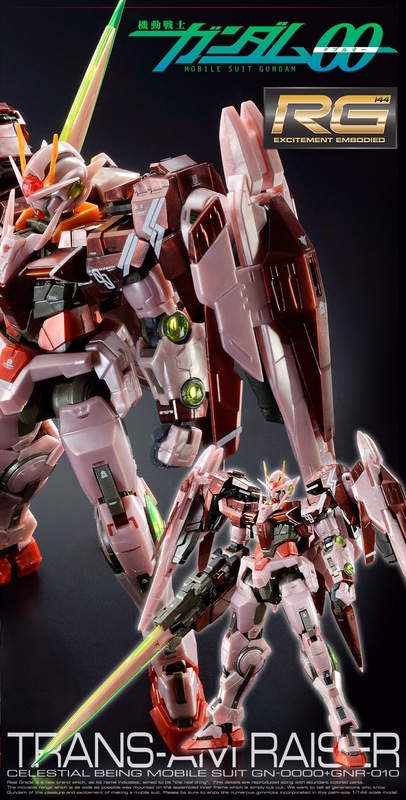 It looks positively amazing and it reminds me I need to do the review of Real Grade Exia and the Trans-Am version as well. If you are wondering, yes we will have these in the shop, and you can preorder yours now!! We are making sure on how many we can get. We know we can secure at least three, possibly five. If you would like to secure one for yourself while we figure out this, please leave a comment below or in the corresponding Reddit thread that this is from. For those of you who are new to the site, my favorite Gundam is the 00 Gundam. Something about it just looks awesome. I do not like the 0 Raiser attaching onto the back of it because it just looks way to bulky in terms of a Gunpla kit. Coming in at a very close second is the Unicorn Gundam (any version, besides FA). I do have at least one of every Gunpla grade of the 00 Raiser and I have big plans for my Perfect Grade. This kit looks just as amazing as its normal counterpart and I just can’t wait to get my hands on it! The release date of this kit is Mid to Late June 2015 :) Get your orders in to make sure you are the first of your friends to get it!